We are 301 Academic Skills Centre and we give academic skills advice to our students at the University of Sheffield. We offer workshops and 1:1 appointments. Upon first finding out about 301 and the variety of workshops on offer, I know that the first instinct many of us have is to pick the workshops that seem relevant and sign up to all of them in one fell swoop. There is absolutely nothing wrong with that by itself. However, a couple of things can make that strategy problematic and I’ll share some advice on what you should be doing instead. WHY: Yes, yes. I know you know why you’ve chosen to attend a particular workshop but think about it. Say you don’t have any group work this semester and have always been really unenthusiastic about the prospect of doing assessed group work, so you sign up to attend a workshop on that here at 301, I’m sure you’ll find it useful because I did myself. Now that’s different from signing up to attend that workshop and 9 others because you just like the sound of them. There are a ton of workshops to pick from and they are all great but it is worth considering your reason for attending the workshop and having in mind that your interest will affect how seriously you take the workshop, your willingness to engage with the material and your drive to get the best out of it. Just bear in mind that you have at least 6 semesters in university and if you prioritise your skills needs every semester, the probability that you’ll leave university having gained all of the skills I’ve listed above is most likely a 100%. You can afford to take time and be deliberate about it. 3. THE FOLLOW-UP: From experience, this is the most difficult part. Nothing good comes easy, they say, but it is so tempting to hope that attending a workshop or 1:1 study skills tutorial will set you right up. You do have to make time and work with the advice you have received so that you can make progress. Revisit the slides you get sent as many times as you need to as well as any notes you take. Also make sure to use the resources recommended to you during the workshop. It’s normal to be eager for a marked improvement within say 2 weeks and to be frustrated if you don’t see any. Take your time and after a while you will be instinctively doing things a different way after making those repeated efforts initially. I hope you find these tips useful and are having a fantastic Easter break whether that is being spent in the IC or somewhere a bit more fun catching some sun rays. Today I will take you on a tour through a hidden gem of Sheffield University. Students who have studied here past and present have gone through here not even knowing of its existence. It is akin to the Chamber of Secrets, only with a more mysterious history. Lo and behold, the Stephenson Library! What’s so special about it, you ask? Imagine being transported back into time. Imagine knowing what being a uni student here in the 50s was like. Imagine being able to know what exam papers they took, and what kind of building they lived in. That is the Stephenson Library. The library is attached to the Stephenson accommodation, which is from the Georgian era. It is located across from Endcliffe, signposted from the Edge and on Endcliffe accommodation maps. Its a 5 minute walk from Broomhill. Picture the scene. You walk into the entrance to what feels like a hotel lobby. To the right of you is a reception which is always empty. Old painting adorn the walls. It has the smell of a very old carpeted hotel or building if , like me, you know that distinct and oh so intoxicating smell. To your left, there is a large hall. It is a large space where an indoor sport could be played with multiple table tennis tables (is there a technical term for that?). You may see the odd soul playing it, but there are never more than a handful of people within its boundaries. You also see a piano on the other side of hall. You go through the lobby, up the stairs. There are portraits of wardens hanging along the walls. Wardens? An outdated concept now, they were what came before Residence Life mentors, those who oversaw the wellbeing of students and ensured they weren’t getting up to any trouble. You head straight on through a door to a large room surrounded by even larger portraits of wardens, ominously looking over you. All old white men, they are products of a bygone era. But the largeness of their portraits makes you assume that these people were central figures in student life, with the power to expel students for naughtiness under the stricter university rules of those times. The building currently has no computers, but this room did before they were sent to The Ridge in Ranmoor this year. Stephenson is meant to be undergoing maintenance, explaining their disappearance. But no maintenance work has been done. Maybe at some point some work will be done, my guess would be summer, but I am unsure for reasons I will give later. There is a router in this room, so if your laptop, like mine, struggles to pick up wifi in certain places, it will have no trouble working here. There are plenty of plug sockets in this room. However, the true gems are in the side rooms. Accessible from both this room and the corridor you travelled through, these are two medium sized rooms with two massive wooden tables to work from. There are no plug sockets here so don’t station yourself here if you have low battery life for your laptop. However, the tables are perfect for group work with the tables easily having the space for A2 sheets of paper, which a group could brainstorm a mind map or project of the like. But what shines through are the other things that adorn this room. You have pictures of the classes who stayed here from as early as the 1950s! This is a true piece of history. Its quite interesting to see how male-dominated university was back then, but slowly and surely girl power crept in and the ladies begin to populate the benches. But not only this, the rooms contain the exam papers that Sheffield had since the 1950s. There are some true gems to be had here. Did you know Sheffield used to have an art course? Or that if you were to study Roman or Ancient Greek history, you’d have to know Latin/Greek? I’m sure that no matter what your subject is, it’d be incredibly interesting for you to see how much exams/your subject have changed over time. I think this is enough of a reason to visit Stephenson on its own. And the final touch? A load of other magazines and books from ages gone by. Funnily enough, there is no way to borrow these as there are no library facilities. However if you want a break, or want to read something curious, then feel free to have a read while you’re here. You have copies of the Spectator and National Geographic from the 90s and earlier. A true treason trove. As you walk this building, you feel a connection to university days gone by. The fact this library is connected to Stephenson accommodation conjures up images/feelings of similarity of Oxford/Cambridge, where each college has both its own accommodation and library solely for the students belonging to it. Indeed, you almost feel like you don’t belong in this building. Some people live here (apparently) including Residence Life mentors. The lounge feels like it is used by the residents for big events. But it just isn’t. That room with the warden portraits? The last two times I’ve been there, I was the only one in there for the many hours that I studied. Even in my first year when it was slightly busier, there were always spaces to study. It seems so strange that this place isn’t used considering its proximity to Endcliffe. But therein lies the appeal of Stephenson. Its lack of activity is reinforced by the fact its reception is always empty. Indeed, its old paintings make it feel not only like an old hotel, but a haunted one. But it, in a way, haunted. Haunted by a lack of activity. It was obviously bustling in its day, but the more modern addition of the Endcliffe village accommodation and The Edge has drawn them elsewhere. It is haunted by its former students and their exam papers, as I’m sure they were. Its haunted by the wardens. They watched over their students then, and they watch over you now. Its haunted by the inability to explain why its so empty, why students choose to go to the crowded IC rather than study here. Maybe its because first year students go to the library less…or maybe they stray due sheer lack of knowledge about it. There isn’t any history of this available. Most of my thoughts here are simply observations, imaginings of the building. In a university dominated by high tech building, this building has been forgotten. Its been forgotten by the students. Its been forgotten by the university, for it doesn’t even have facilities to oversee its collection of antique books and magazine. I wonder if the computers will be forgotten, and it’ll be decided that they’re better used at Ranmoor. But most of all, considering the antiquity of the building in its entirety, the Stephenson Library has been forgotten by time itself. And that is why I love it. If the building maintenance actually happens and it gets renovated instead, we may see it get ‘sexed up’ by high tech facilities. But it will never be the same. It will no longer be the distant portrait of time which you will find me in, shuffling my notes, as so happened half a century ago. Coming to University after high school can be a bit overwhelming. The courses are taught differently and the amount of information you receive every week is greater than before. There are many services around the University to help you cope with work. One of them is PASS: Peer Assisted Study Sessions. If you like studying with other people, then PASS is for you! 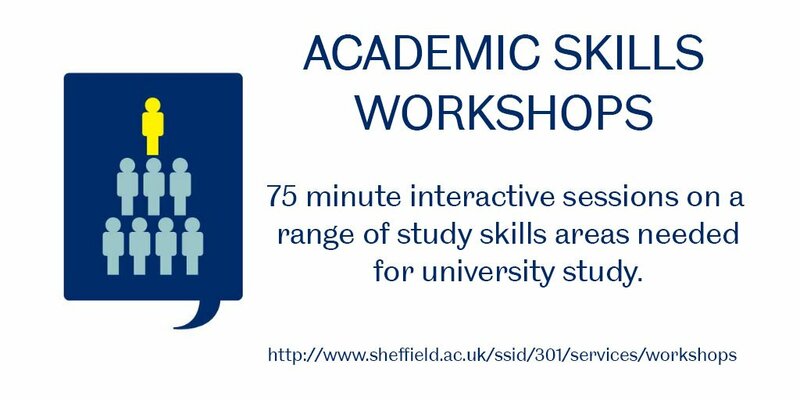 The Peer Assisted Study Session (PASS) is a project developed by the 301 Academic Skills Centre in collaboration with a number of academic departments at the University of Sheffield. It provides help and support for students by having a higher year student from the same course share their knowledge and expertise. PASS is a popular learning model used around the globe and there is extensive evidence to support the benefit of studying in such an environment. All peer study sessions are department specific. A student in a higher level of study from that course will run the meeting. They are trained Peer Assisted Leaders that will help the lower level students during the session using their skills and knowledge. They help the participant students understand their work and reach their own solutions by encouraging group discussions. The informal environment helps students feel more at ease and enables them to engage in fun and interesting conversations with other students from the same department. Why take part in PASS? A smoother transition from high school learning environment to the University learning environment. Development of communication skills, teamwork skills, and time management skills. Also, you can gain HEAR Recognition for attending the sessions. If you would like to participate in a PASS session, ask your department if they are currently holding any sessions. If your department does not have PASS session, check the 301 website to see how you could start a PASS group. Seminars are the marmite of the university world. You either love them or you hate them. Humanities students will most often have seminars, where you are expected to join a group discussion rather than be taught specific tasks (tutorials) in a taught environment. The seminar leader, which might be a student depending on how your course is set up, is ideally meant to do little at all. The group discussion should simply occur naturally. The tutor is meant to facilitate discussion, rather than participate. But this doesn’t always go to plan. Momentary silence can quickly become awkward, conversation jilted and discussion replaced with frosty looks and stammered points. I’d say the reason this occurs is because often, students aren’t taught how to g about discussing a complex topic or text. We’re thrown in at the deep-end, so naturally we either sink or swim. Thankfully, we at 301 are here to help with some tips about seminars to help you swim the distance! When you think of group work, you think of large projects, a list of tasks to be divided and booking rooms in the library. Few would think of a seminar. But a seminar is probably the most common group task a humanities student will ever have to face. Except instead of producing a physical piece of work, the project is the fifty minutes of discussion and argument you’re about to have. 301’s seminar on group work and its corresponding materials are fantastic. A group discussion is not just a simple exercise of people speaking and responding. It takes a lot of work to keep that discussion going, to take a point and elevate it, rather than just acknowledge it. Facilitator Moderates team discussion, keeps the group on task, and distributes work. Recorder Takes notes summarizing team discussions and decisions, and keeps all necessary records. Reporter Serves as group spokesperson to the class or instructor, summarizing the group’s activities and/or conclusions. Timekeeper Keeps the group aware of time constraints and deadlines and makes sure meetings start on time. Devil’s Advocate Raises counter-arguments and (constructive) objections, introduces alternative explanations and solutions. Prioritizer Makes sure group focuses on most important issues and does not get caught up in details. Innovator Encourages imagination and contributes new and alternative perspectives and ideas. Liaison Ensures that systems are in place to ensure that group members can communicate. Wildcard Assumes the role of any missing member and fills in wherever needed. Your seminar leader should be the perfect Wildcard, being whatever the group needs to keep discussion going. Mainly, they will be Facilitator, but at times they’ll favour one over the other. You should too! Nobody will always fill these role, and a room full of Devil’s Advocates helps nobody. You don’t always need to be bringing up fresh points each time you speak. Sometimes it is better to ask a person a question, to deepen the point they’ve made or your understanding of it. Sometimes its good to summarise the points so far and the group’s current conclusions. Other times its best to question the relevancy of a point a person just made. All of these are good. All of these are valuable. Treat your seminars like the group work they are and you will only do better! I have known some students, myself included, to say some stupid things in seminars. Everybody froze to try and grapple with what had just been said. And you better believe I remember them. However, don’t let the fear of saying something stupid put you off. Its better to say it here than in an essay, and if you treat these occurrences with good humour, then you can be sure that the laughter will be kind, rather than cruel. 3. Do the reading. No, seriously. I know, I know. This is simple stuff, but it has to be said once more. In a lecture, the only person seriously hurt by not having done the reading is yourself, as you might not understand some of the points brought up by the lecturer, as they will assume you have already read at least the essential readings. But in a seminar, especially one of eight or ten? Everybody can tell you haven’t read anything. If you’re lucky enough that nobody has done the reading, then we might as well pack up and go home. Your tutor isn’t there to teach you, just facilitate discussion. We can hardly have a productive discussion if nobody has anything to discuss! Do the readings, at least in so far as you can. If you don’t understand something, highlight it! Bring that reading to the seminar. Avoid the embarrassment and awkward silence, while also enriching yourself and your peers! Often the best thing I’ve said in a seminar has been “I don’t understand this”. By the end of the seminar I did, and so did many of my peers to embarrassed to admit they also didn’t understand what we were discussing. There you have it, my three big tips for success in seminars. First, realise seminars are group work and you don’t have to fill only one role. Not every role in a discussion is coming up with new points. Second, don’t let the fact that you might say something stupid hold you back. Its better to speak up and have a laugh in a supportive environment, than still be wrong when you write it down a few weeks later. Third, do your reading, for your sake and that of everybody else! At least as much as to answer the questions. Have you ever lost your data on your computer because of hardware damage or a glitch? I have, yes, just two weeks ago. It made me so depressed. The sudden breakdown of my laptop made my uni work significantly delayed, and the most terrible thing is that I to redo quite a few because I had not taken a time to back them up before it crashed. Having learned a big lesson from this experience, I would like to share you with some tips of data backup throughout your study. Data backup is not a big hassle; so, do it every single time after your work! Okay then, let me talk about what exactly happened to my laptop and data. My laptop is 2016 MacBook Pro. This model is a bit different from other MacBook models. The SSD (hard drive) is completely soldered to the logic board, which means that there is a risk of data loss if the logic board is damaged. However, there is a data transfer port on the logic board, from which data can be rescued via a special data transfer tool that Apple has. Two weeks ago, I was working on my laptop. All of sudden, the battery was gone and it could no longer be charged and finally it was not turned on anymore. I sent it to Apple Store to get them diagnose what exactly happened. They told me the logic board got damaged and I needed to replace it if I would like to continue using it. They did the replacement for me and tried to recover my data. Unfortunately, when I picked up my laptop they told me that they tried many times but my data was gone because the logic board was terribly damaged. I had no alternatives but reworked on my lost work. It was not too bad as what I lost was about two weeks work. But, it could have avoided if I had backed it up. It was not because I did not usually backup data. It was only the work I lost that was not backed up as I did not expect that a problem would fall down to my laptop. Anyway, I am going to share with you some important tips about how to save your data every now and then when you work. I highly suggest you saving your data on a cloud platform, such as Dropbox, Google Drive, iCould, etc. The advantage of cloud storage is that you can access to your data on any device at any place at any time. This gives you more flexibility to do your work. Most of these cloud platforms are free to use and have both versions for computers and for mobile devices. The second way to protect your data from accident is to back up your data through your external hard drive. If you think your data really important ad you are very sensitive to data security, then an extra hard drive is necessary to you. If you do need one, I recommend Seagate, Western Digital and Toshiba. Probably email is the securest way of data backup. Unless you delete them, the emails are always in your inbox. So it would be useful to have two different email accounts and share your work between them every time when you complete your work. On top of these, the best way of data protection is to back your data up to these three places at the same time. This is particularly helpful when you make a breakthrough, for example a dissertation, a thesis, an article to be published, and so on. Another good habit of data protection is creating your account and logging yourself in every time when you use the software that you work on. Do not forget to use the cloud service of the software so that your work can be automatically saved and synchronised to another device if it does have this function. For example, if you use Microsoft OneNote with via login mode, you will find all the notes you have made are automatically linked to your Microsoft account. It means you can access to your data wherever you are on whatever devices, as long as you log in to your own account. Okay, let me give you some extra more tips, which I believe is of paramount importance on top of all those I have underlined above. By attending this workshop, you will learn a set of skills of working independently, with the focus on the way in which you manage your study from across various aspects of self-learning. I believe that, with the skills you will learn from 301, plus the data protection tips I mentioned above, you will feel more comfortable in your study.